Designed by Sheldon Borenstein, Portfolio Art School breaks down all the art foundations in a progressive manner. 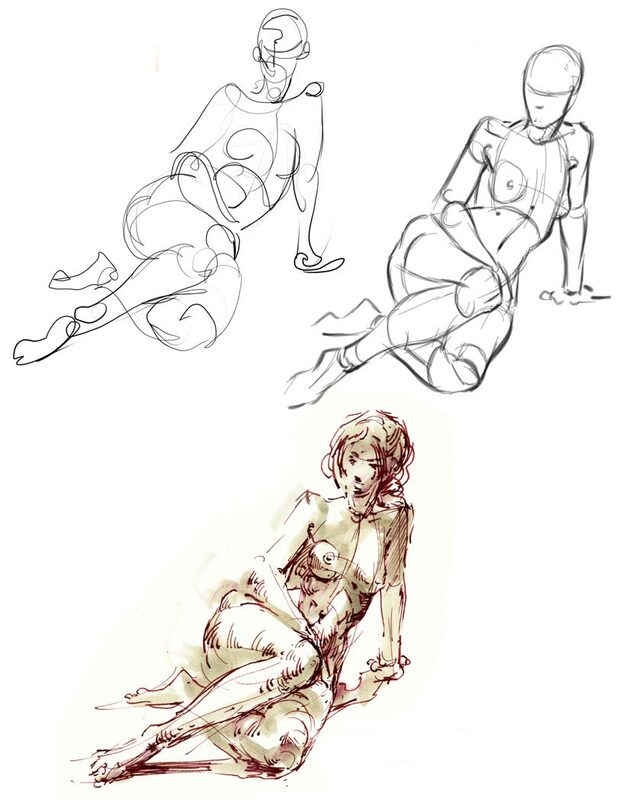 Figure Drawing is used to learn the process of GCAT: Gesture, Construction, Anatomy and Technique. With these techniques you will be able to build and construct anything. Gesture is the life force in a drawing. Gesture will establish the direction, weight and balance. Gesture shows the motivation in the drawing, the essence of the story you are trying to tell. Construction is the “fitting together” of three basic shapes to form everything that we draw. The challenge is to learn to see these shapes in everything that surrounds us. Anatomy is very important for all artists because we can not draw what we don’t know. It is necessary to learn the basic anatomy of the figure, as well as that of animals, trees, plant life, machinery or anything that we wish to draw well. Learn the same lessons in fundamentals that have been taught to thousands of artists from Warner Bros. and Disney to countless college students many of whom now work at their favorite studios achieving their dreams. Portfolio Art School is about more than just art. It is a learning journey teaching you the processes and foundations from the Florentine era to the fundamentals of animation. Our class lectures were designed and over looked by industry professionals to make sure we cover the fundamentals needed to survive in the ever-evolving entertainment studio world. Beginning Foundations is the first class for any beginning artist wanting to study in the art of Visual Communication. This specially designed 10-week course simplifies all of the traditional fundamentals that are needed to understand the basic principles of Visual Communication Art. The general topics include: Line, Shape, Form, Value, Layout, and Perspective. Portfolio Art School’s end goal is not to be another art school with random subjects. It is our goal to bring and teach the fundamental principles that can take you anywhere in the industry. With these principles you will then be able to perfect your foundation skills in a related field of your choice so that you can have the best advantage in creating a portfolio to secure a job and hopefully a career that you will love.